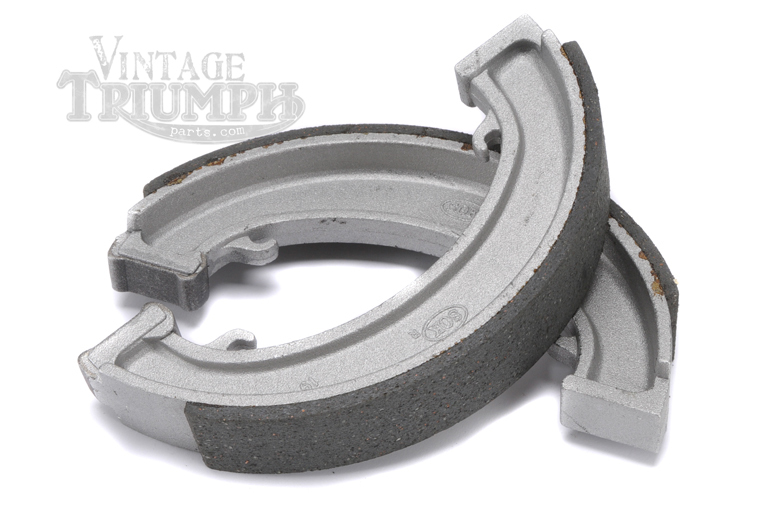 Brake Shoe Set, Front/Rear. Fits Triumph Models From 1947-1970. TR5A Trophy 1961, T100 Tiger 1960-1970, 5TA Speedtwin 1958-1965, 6T Thunderbird 1963-1966, T100R Daytona 1967-1970, TR6 Trophy 1963-1970, T120 Bonneville 1963-1970.